Based on legitimacy and on stakeholder theories, this study analyses the level of disclosure of Corporate Social Responsibility (CSR) in the sustainability reports of the Portuguese public sector entities for the years 2008 and 2012, prepared in accordance with the guidelines of the Global Reporting Initiative (GRI). The authors also aim to determine the factors that influence this level of disclosure. Using content analysis, an index of CSR disclosure was constructed based on the sustainability reports of 58 public sector entities. It was concluded that the level of sustainability disclosure is related to the organisation's size, industry, awards and certifications received, and visibility measured in terms of consumer proximity. This study offers new empirical evidence of a different context – public sector entities in Portugal, providing valuable insights into the factors that explain CSR disclosures in public sector entities. 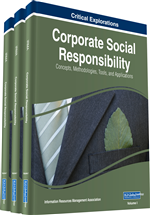 Corporate social responsibility (CSR) disclosure practices have increased over the last years with the growing recognition of their central role and associated benefits (Carnevale & Mazzuca, 2012). Even though sustainability reporting and disclosure practices are perceived differently throughout the world (Carnevale & Mazzuca, 2012), there is a significant body of literature that explains the importance of CSR disclosure for the firm’s reputation and legitimacy (Cho & Patten, 2007; Quevedo-Puente, Fuente-Sabat, & Delgado-García, 2007; Carnevale & Mazzuca, 2012). According to some authors Sciulli (2009), Ball & Grubnic (2007) and Bellringer, Ball, & Craig (2011), the scarcity of research on sustainability practices in the public sector (PS) is worrying. As public organisations are owned by the state, and therefore directly controlled and financed by the government, they are considered the main pillars of government management. Nevertheless, their aims differ from those of private organisations, despite their similarities (Haque, Pathrannarakul, & Phinaitrup, 2012). Like Ball and Grubnic (2007), and Bellringer et al. (2011), the authors also believe the PS organisations will play a major role in the future sustainable development agenda and in the establishment of new conditions for the next generation. As Fifka (2013) reports, most studies on sustainability can be found in North America, Australia, and Northern and Western Europe. Since most of the present literature is based on Anglo-Saxon countries, different geographical, cultural and institutional contexts must be considered. In Portugal, despite the empirical research on environmental and social information disclosure in the private sector (see Branco & Rodrigues, 2008a/b; Monteiro & Aibar-Guzmán, 2010), there are no empirical studies on sustainability information disclosure, or on the reasons underlying such disclosure in the PS entities. In this chapter, public sector entities include government business enterprises. Despite being part of the European Union and a small member of the OECD, Portugal is one of the less developed countries in the Eurozone (Lopes & Rodrigues, 2007). The Lisbon Strategy 2000-2010 aimed to give priority to social and environmental sustainability. To achieve this purpose, the EU issued a number of documents encouraging the public sector to adopt sustainable behaviours whilst providing a framework to implement sustainable development strategies, such as the National Strategy for Sustainable Development (NSSD) for 2005/2015, in Portugal (NSSD, 2005). One of the main aims of the Lisbon treaty was to develop the ability to face global challenges, namely at the level of security, climate changes and sustainable development. With the approval of The Lisbon Strategy 2010 and 2020, sustainable development became a priority (CAEAR, 2008). To overcome the lack of studies on sustainability reporting in the Portuguese PS, this study collects empirical evidence on the Global Reporting Initiative (GRI) sustainability reporting of public sector entities and on the factors that explain why they disclose this information. Therefore, this study analyses empirical evidence collected in the PS entities for three reasons: firstly, to add new empirical data to sustainability disclosure research regarding Portuguese PS entities; secondly, to reveal the determinants of sustainability disclosure in accordance with the GRI guidelines in the PS in Portugal; and thirdly to compare these disclosure practices with those observed in more developed countries. The research questions of this study are: How is the sustainability reporting of Portuguese PS entities prepared in accordance with the GRI guidelines? What are the factors associated with this sustainability reporting?